The mate passes from hand to hand. On one of the crooked benches that stand in a circle in the classroom, and as part of a reflection exercise on identity during the Social Science class, Florencia writes about how she struggled to make the National Congress pass the Assisted Fertilization Law. Next to her, Adriana disagrees with Zigmunt Bauman over some of his arguments about liquid modernity. It is June 2013, and the scene takes place in the Bachillerato Popular Ñanderoga (a popular high school whose name means “our house” in the Guaraní language). There, several adults commit themselves to finishing secondary school. The smell of freshly baked bread permeates through the classroom because the space is right now, separated by a wooden divider, forming two rooms. It was only a couple of hours earlier the working place of Ñamba Apo (“Our work”), a cooperative that manufactures bakery products. Tomorrow morning the divider will slide again, and the hands and flours will join once more; in the afternoon the place will be filled with debate, ideas and stories, and thus the cycle will repeat itself through the week. The Bachillerato Popular and the Cooperative are part of Ñanderoga, the social organization located in Las Flores neighborhood, in the district of Vicente López, north of Greater Buenos Aires. 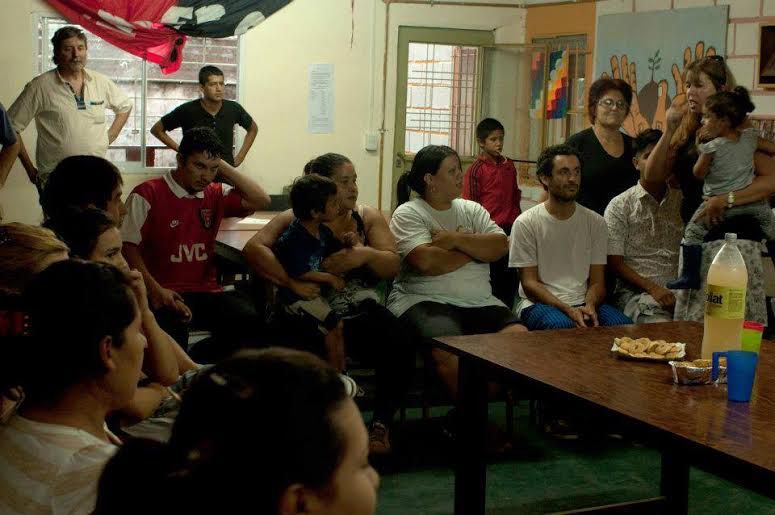 Ñanderoga, established in 2004, sets out to organize around cultural, social, and educational activities in an impoverished neighborhood of a wealthy district — a reflection of the so-called paradoxes of a painfully unequal Argentina. They try to work with the neighbors, positioning themselves politically and emotionally in each alley they walk through, building together a more just and humane society. They emphasize being part of an autonomous organization, independent of any institutions or political parties, and have decided to self-manage their activities and projects, taking collective decisions in regular assemblies called Jajotopa (“To meet”). The organization also has a women’s group, community study group, youth group, an area for recreation and meals for the children, and “Dreams of Freedom” — a working space for people who have been deprived of their freedom or are judicially processed. The construction of political-pedagogical projects by the Bachilleratos Populares unleashes challenges and tensions when it comes to establishing relations with the State. Inside Ñanderoga, just as in other spaces in which popular education is considered an alternative to the hegemonic system of formal education, debates about the kind of engagement to maintain with different federal and local levels — and the demands raised to them — are heated. As time passed, and in the midst of different struggles, several collectives (among them Ñanderoga) were able to group themselves in the Coordinadora de Bachilleratos Populares en Lucha (Coordinator of Bachilleratos Populares in Struggle) in 2008. From that space, agreeing on common positions and actions, they denounced that the formal education system is precarious, privatized and commodified — which impoverishes the pedagogic proposal and the work of teachers, — and excludes popular sectors. 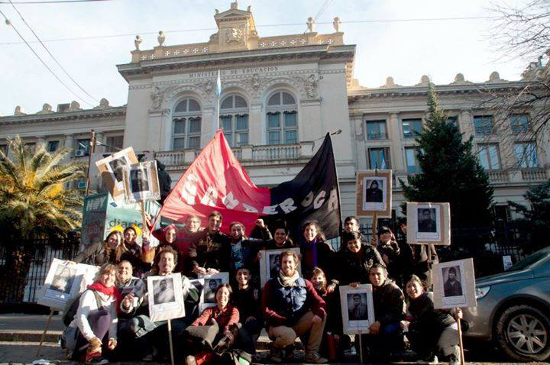 The Coordinator regularly mobilizes in demonstrations and activities through which they demand the State to effectively meet one of their historic claims: “Immediate recognition of all the Bachilleratos Populares of Buenos Aires City and the Province of Buenos Aires…” Furthermore, issues such as wages for teachers, grants for students and full funding are part of the debate about the space given to the State by the organizations, and the relations they chose to maintain with it. The first of those claims, official recognition, is one that keeps students and teachers of Ñanderoga awake. Even if the degrees obtained by the students are made official by the Ministry of Education of Buenos Aires, this is only possible through an agreement with another Bachillerato Popular that is recognized as an official educational establishment. But as is well known, agreements tend to be short-lived; thus the struggle of the students and teachers of Ñanderoga to receive the official status for the establishment becomes an arduous one. They walk through the alleys of the neighborhood and to the offices of the ministries, they collect signatures of neighbors who support their education proposal, and meet with the district inspectors of Vicente López and with officials of the Ministry of Education. They march with joy and hope to La Plata, capital city of Buenos Aires, and raise their demands. Thus far, official recognition is denied to them. One of the arguments employed by the State is that in recent years a series of public policies have been implemented to offer different sectors of the population — especially those from popular background — the possibility of finishing primary and secondary school. In 2008, the first stages of the Plan for the Completion of Primary and Secondary Education (FINES, as per its Spanish acronym) were initiated. A strong development of the plan in subsequent years, an expansion of its premises, the availability of wages for the teachers and the granting of scholarships had a strong impact on the political construction of the Bachilleratos Populares. In such a way the State attempts to supersede with “attractive” institutional policies the possibility of obtaining a high school degree through popular education experiences (their only raison d’être in the State’s viewpoint). Thus the demands of the Bachilleratos Populares start to be deemed obsolete. Possibly as a result of the above mentioned FINES, there is a clear decline in the number of students registered in the Bachilleratos Populares, while at the same time some organizations decide to accept the FINES management plan as an alternative to their previous education projects. Against this backdrop, tensions are generated both within the organizations and the Coordinator, from where certain sectors threaten to withdraw. The problem around the relationship with the State is again at the core of the debates within social organizations. This new picture can be conceived as an example of what the Uruguayan writer and analyst Raúl Zibechi regards as the incapacity of social movements or organizations to keep their own agendas, for most of them have been expropriated by the State. In this situation, the State intends to diminish the deep political pedagogic proposals of the Bachilleratos Populares of their meaning, and it allows them to fulfill with greater facilities and incentives the beautiful dream of finishing their studies. Therefore, popular organizations are at a crossroads: either they accept the new rules of the game, reinvent themselves, or continue struggling along increasingly hostile paths. Life in Las Flores neighborhood is not easy: stories of need abound, in addition to the lack of state presence, and the lack of economic, working and educational opportunities. In days of persistent rain and bitter cold, the narrow alleys and the roofs of crammed houses do not suffice to provide the refuge deserved. Some other days, conflicts unraveled by the lack of land and decent housing emerge, tension heightens and the threat of a “war” of poor against poor hovers in the air. However, life goes on: the sun continues to rise each morning, doors and windows remain open, neighbors drink mate in those very same alleys, they share, they communicate, and they help each other. The afternoon settles in and many neighbors head to their class at the Bachillerato Popular with a notebook in their hands. Florencia and Adriana already finished their studies. In December 2013, amid tears and applause, they received their secondary school diploma. 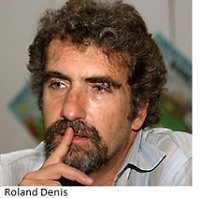 Both will remain involved in the organization, fighting for the official recognition of Ñanderoga. Adriana, in her “debate” with Zigmunt Bauman wrote: “We have to say ‘enough’ to a society that makes us believe that we are powerless, ‘enough’ to everything being watered down, let’s be solid and let’s keep our dreams and goals firm for a new future.” Florencia, under the Assisted Fertilization Law for which she fought alongside different organizations, is after her dream of being a mother again. Tomorrow will be another day in Las Flores neighborhood, in the morning “our house” will be filled again with the smell of bread, and in the evening the classroom will overflow with ideas. The cycle repeats so that the students, the ones who struggle every day for more just and equitable worlds, can write their own stories, so that education and work are created by them and for them; so that other educational spaces exist in which to discuss the State’s logics of learning, challenge their oppressive effects, rescue the communal experiences typical of each territory, and the relationships they weave as a mate passes from hand to hand. The strong political, social, and economic crisis –besides causing the resignation of Argentina’s President-elect Fernando de la Rúa on December 20, 2001, and the succession of 5 presidents in less than a month— inaugurated a series of new political expressions that combine neighborhood assemblies, unemployed workers’ movements, occupation and self-management of factories, solidarity economy practices and many other experiences of the autonomous and popular organizations. Lucas Christel holds an MA in Public Policy and Development Management from the Universidad Nacional de San Martín, where he is currently doing a PhD in Political Science. As a research fellow from CONICET (National Research Council of Argentina) he studies social resistance to mega-mining projects. He also a teaches in Ñanderoga and is an amateur photographer. Nancy Piñeiro is a Technical, Scientific and Literary translator, and Conference Interpreter. She is an active collaborator at Upside Down World and has been working in the fields of Human Rights, Politics, and Social Movements over the last years.